When you discover something great, like a new coffee shop or a scenic hiking trail, it can pose an interesting problem: do you keep it to yourself so it doesn’t get too popular, or do you share it so others can take advantage of it too? When DemandGen started using BrightInfo’s content targeting services to improve our ability to capture anonymous website visitors, we were presented with just that quandary, because BrightInfo is a tremendously effective solution. Our job is to make our clients into marketing heroes—so we decided to share! The premise of the BrightInfo solution is to help you engage website visitors by proactively giving them content that is relevant to them at that moment. No, it’s not psychic—though it can feel that way! Instead, BrightInfo combines content analysis with user behavior to display personalized recommendations. 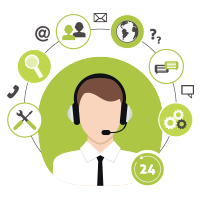 According to BrightInfo, this approach can result in up to 83% more leads, and a cut in cost per lead by up to 75%. Essentially, BrightInfo keeps track of your marketing assets, analyzes the actions and interests of your anonymous visitors, and pops up a window that offers them exactly what they are looking for. 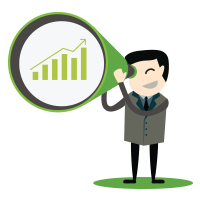 The system can discover your marketing assets automatically, or you can set up the recommendations manually. Your visitors are analyzed based on individual behavior (new, returning, etc. ), “crowd” behavior (content browsed, navigation patterns, etc. ), and textual hints (search keywords, page content and the like). BrightInfo has been very successful for DemandGen. Entry widgets — essentially popup windows that greet a visitor on arrival — and sidebar widgets are able to capture attention right away. They are not stereotypical popup ads, instead guiding viewers to different content that is actually relevant: for example, related to the content of the page they entered on, the places they have been on the site, or content they have viewed in previous visits. It’s a common tenet of marketing that the longer you can keep a web visitor on your site, the greater chance you have of converting that visitor. We’ve seen excellent results from BrightInfo in terms of visitor retention. The widgets keep reminding visitors of more content to be viewed, which keeps them on the site longer. We’ve seen an uptick in the amount of content that our visitors are consuming, and that in turn is driving high quality leads. “And another thing. . .” If you’ve ever seen the old show Columbo, the sly detective always had one more thing to ask, just when the suspects thought he was done with them! With BrightInfo, you always get one more opportunity to snag those suspects. Exit widgets pop up just when they are about to leave the site, offering a juicy piece of content that often will keep then on the site a little bit longer. You can choose to put any content into any of the widgets, so the solution is highly customizable for your needs. You can also choose to allow BrightInfo to take the wheel to determine what is the most effective content in a given situation. In our case, when we want to promote different things such as webinars or new case studies, we put them on different widgets. I’d say that the best one for us so far has been the exit widget, allowing us to pop up a screen for whatever we want to promote right before the viewer is about to leave the page. BrightInfo is a great addition to your marketing toolbox that makes the most of your content, and can help you drive quality leads. 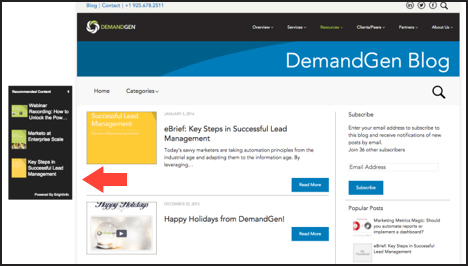 If you’re interested, DemandGen can help! As a DemandGen Marketing Assistant, Brady Chau helps the marketing team with various projects and events, promotes the DemandGen brand, reviews content, and explores new technologies to support our team’s service goals.